The Football Draft is Here! The Football draft is here and it is time to look at some common injuries that happen to our feet and ankles. Football is an extremely physical and contact sport. It is highly demanding on the player’s body because it combines power, agility, speed, and strength in a high speed environment. To avoid contact with others, it requires quick movements and changes in direction; therefore, the risk of injury is fairly high. Achilles tendonitis is a chronic injury that occurs primarily from overuse and it felt as pain in back of the ankle. If this is ignored it may increase your risk of Achilles Tendon Rupture. Is the common term used to describe a sprain of the ligaments around the big toe joint. It’s commonly associated with football players who play on artificial turf. A metatarsal fracture is one of the most common injuries in football. The foot has 5 metatarsal bones, which stretch from the ankle to the toes; these bones are fragile and can be damaged easily, especially when the foot is put under constant pressure like it is in football. A fracture of the 5th metatarsal is the most common. 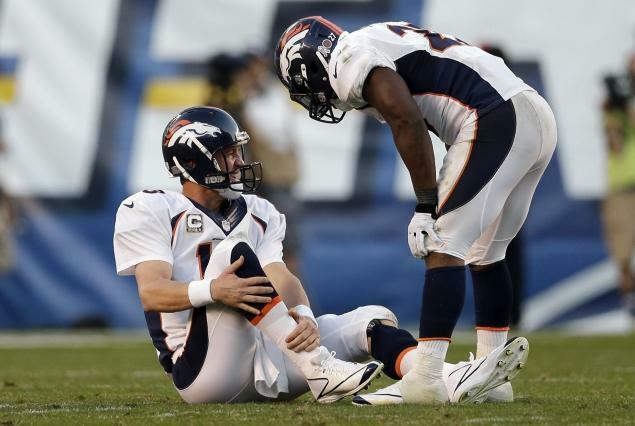 Sprains and strains are the most common type of football injury. The best immediate treatment for sprains and strains is the R.I.C.E. method (Rest, Ice, Compression, Elevation). This is some muscle soreness may be felt from 12-48 hours following the activity. Overtraining syndrome frequently occurs in athletes who are training for competition or a specific event and train beyond the body’s ability to recover.